Gritty noir about a Bangkok mafia family running a crocodile farm on the outskirts of Bangkok. 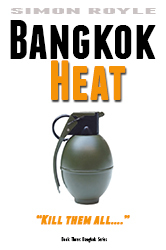 A war is taking place on the streets of Bangkok as political cliques fire bullets and rockets at each other. Mysterious ‘Men in Black’ snipe combatants from both sides. It is a good time to settle old scores. Take a walk on the darkside with Chance. An enigma: family-orientated, loyal and loving… and a cold-blooded killer…. 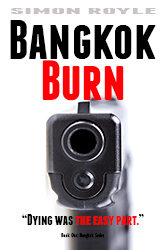 This chilling, high-octane thriller takes you to parts of Bangkok no tourist should ever go, a world where life is cheap and morality non-existent.